At Benjamin Chiropractic & Functional Nutrition Center, P.C. our practice philosophy and goal is to make Chiropractic Care EASY, AFFORDABLE & ACCESSIBLE to ALL PEOPLE! Established patients; Walk-ins always welcome although scheduled patients take priority! For all or our patients we will continue to provide a "Insurance Ready Receipt" for all services provided at Benjamin Chiropractic & Functional Nutrition Center, P.C. Your receipt will include all CPT (procedure) codes and ICD-10 diagnostic codes related to your care. Because your insurance policy is a contract between you and your insurance company it is your responsibility to submit your receipts for reimbursement. Your receipt will be printed for you at the time of your in office service or emailed directly to you at the time of your transaction payment. We use several highly-effective adjusting approaches to help improve spinal bio-mechanics and reduce nervous system interference. The approach we use is based on our judgment and years of experience. Koren Specific Technique (KST), KST is a progressive whole body approach to chiropractic care that promotes correction to the nervous system with the use of a non-invasive instrument. Avoid the Snap, Crackle, Pop! Our practice now offers a unique, breakthrough approach to patient care called Koren Specific Technique (KST). There is no twisting, turning, "cracking" or "popping" of joints with KST; instead, you receive gentle, specific corrections to your spine and structural system. Most adjustments or corrections are done either standing or sitting. Find out why people suffering from sciatica, migraine, colitis, chronic pain, thoracic hump, poor posture, disc problems, depression, dyslexia, sleeping difficulties, autism and many other conditions rave about KST. Discover why chiropractors call KST "The Best Adjustment of Their Life!" People who have suffered from sciatica, migraine, colitis, poor posture, disc problems, depression, dyslexia, autism, sleeping conditions and many other conditions, rave about KST! KST is very gentle and yet very powerful. Patients typically notice dramatic changes from the first visit. There is no twisting, turning, "cracking" or "popping" of joints with KST. The adjustments are gentle, specific corrections to the spine and structural system. First, an analysis of your spine is performed. This can initially involve a case history and an orthopedic examination of your spine. After identifying which spinal bones have lost their normal motion or position, a specific manual thrust is administered to free up “stuck” joints or what we call a vertebral subluxation. The Diversified Technique utilizes a special hand arrangement called a “pisiform contact” is used to deliver a specific thrust at the right place and the right time. 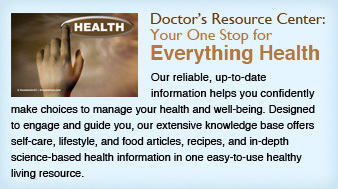 We look forward to helping you and your family "GET HEALTHY & STAY HEALTHY!" Chiropractic is the branch of health care that focuses on the correlation between good health and the structure of the nervous system (especially the spine, and the nerves that extend from the spine to all sections of the body). Chiropractic stresses the understanding that with a normally functioning spine and a healthy lifestyle, your body is better able to heal itself. The examination of the spine to evaluate health conditions is what makes chiropractic unique from other forms of health care. But why is the spine so important? Your spinal cord consists of a complex network of nerves, whose life essential messages sustain every aspect of your body. Tension along the spinal column resulting from accidents, fatigue, or stress, hinders the body's nervous system's ability to control feeling, movement, and function.